If true, this could change everything. there is nothing to fear, Ruddo. I'm fascinated with this. Total nonsense, but I like it so I choose to believe its real. How do flat earthers explain tides? Tides are caused by the moon disk. Obviously. 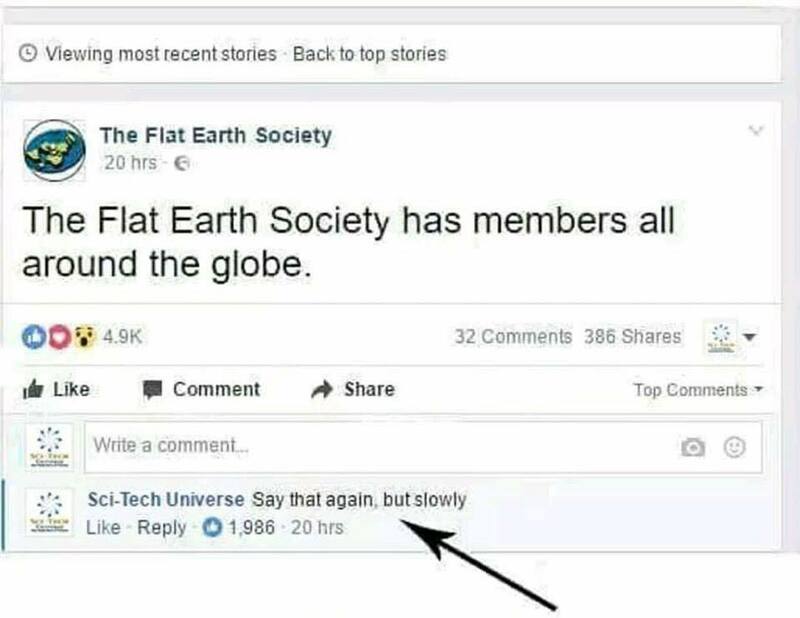 Globe theory makes no sense. Since I don't want to get lost in the research, is there a quick explanation for why no one's fallen off the side of the earth? In the making of instruments like violins and guitars etc, the position of the moon is vital to the day the tree is cut down. It affects the amount of moisture and sap within the tree and wood. That guy's arm in the second panel is more unbelievable than flat earth theory. Have you ever been to Antarctica? Do you know anyone who has been to Antarctica? No, of course not. Because it doesn't E X I S T.
Also its guarded by the people who don't want you to know there is an edge. You should see if Scurry can be syndicated. I mean, they distribute Perry Bible Fellowship. That makes total sense. Those damn penguins. Last edited by bune on Mon March 11, 2019 7:31 pm, edited 1 time in total.